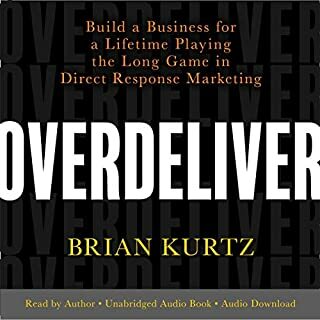 This short listen is recommended by David Ogilvy, Jay Abraham, and many other masters of marketing. It contains many principles that are common in Internet marketing today, such as the idea of testing and measuring ad effectiveness, writing to one person, understanding and using psychology, etc. Fact: Your brain is being controlled - and you don't even know it. Because if you think the ads you're seeing today are just pretty pictures with nice, creative copy, you're mistaken. 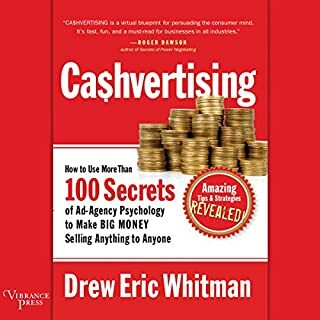 Truth is, you are being powerfully influenced by dozens of proven scientific principles of advertising psychology...little-known techniques of consumer persuasion that go completely unnoticed by the buying public. The Robert Collier Letter Book is by far the top book on writing sales letters. But it goes beyond that. As every great copywriter knows, these techniques are directly transferable to the Internet, whether through web copy or email or whatever. This book earned Robert Collier the distinction of being one of the greatest marketing minds in history. Robert Collier's sales letters were successful because he wrote to his audience's needs. Led by Dan S. Kennedy, with the support of Forrest Walden and Jim Cavale, the co-founders of Iron Tribe Fitness, and other marketing/branding vets including Bill Gough, the number-one marketing adviser to Allstate agents; Steve Adams, CEO of a chain of 21 retail stores and an e-commerce business, and Nick Nanton, of the Dicks-Nanton Celebrity Branding Agency, entrepreneurs learn how to develop and gain profit from their personal or business brand-without corporate-sized investment. 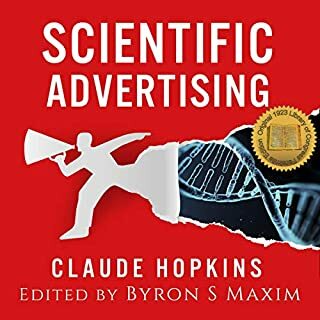 My Life in Advertising is an autobiography detailing the life of advertising genius Claude C. Hopkins (author of the business classic Scientific Advertising). This book is not written as a personal history, but as a business story. The chief object behind every chapter is to offer helpful suggestions to those who will follow his advice. As practical as it is interesting, My Life in Advertising is a must-listen book for anyone wanting to understand the secrets of how to sell. Useful as history. Not sure it holds up today. The biggest, most successful businesses you can think of all started small and grew their way to massive success. What was their secret? Is there something those companies have in common - from Microsoft to McDonald's to U.S. Steel - that helped them grow from small businesses to globe-spanning corporations?The answer is "yes," and it's right here. A newly revised and updated edition of the influential guide that explores one of the most powerful ways to attract attention and influence behavior - fascination - and how businesses, products, and ideas can become irresistible to consumers. In an oversaturated culture defined by limited time and focus, how do we draw attention to our messages, our ideas, and our products when we have only seconds to compete? The Most Insanely Irritating Audiobook Ever! The marketing methods of the past are losing effectiveness as consumers are getting smarter and smarter and have less and less time. What is needed is a new way of doing business, a method that is simultaneously socially responsible and far more effective than "old marketing". This new way is The Irresistible Offer. When Domino's Pizza gave their customers an offer they couldn't refuse, "30 minutes or less" or the pizza was free, Domino's grew from a single store to a $4 billion chain. New marketing guru Mark Joyner defines and explains this revolutionary selling philosophy and helps you apply it to your own business. He examines the elements that make up The Irresistible Offer and presents a formula for creating one of your own and tools to help you estimate the effectiveness of your offer in advance. The clock is ticking. Don't manipulate your customer. Manipulate your offer instead so customers find it, and your company, truly irresistible! 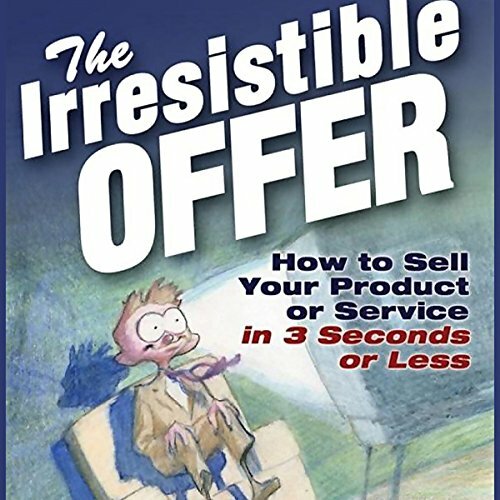 While the first part of this audio book concentrated on the components of the "Irresistible Offer," the remainder of the book was mostly about marketing in general. I was expecting the author to cover the "irresistible offer" more indepth. 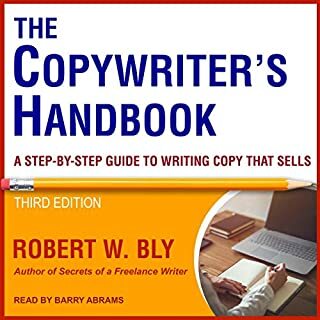 Instead, the author covered it very broadly and added a lot of general marketing tips that you can get from any other marketing book. He repeats the phrase "irresistible offer" several times without providing new information on how to strengthen our knowledge, properly formulate, construct, and apply an "irresistible offer" to our own businesses. The narrator's voice gets pretty drone after a while and his message was difficult to follow because I found myself distracted by the way he was delivering his message. The overall message of this book is OK, but I would advise buying the actual book, skipping right to the meat of the subject, and avoiding the filler parts. A lot of books talk about what they are going to tell you, this one actually tells you exactly what the tittle says it will. Great for small businesses owners & growing businesses. The book has a central, great ideea: you need an offer to be in business! What does it take to make a great offer? The author explains a simple but effective concept in an attractive way. It is a good book that you can use to create irresistible offers. Talk about sexual obsession. The author's non-stop gotta-get-laid commentaries rapidly overshadowed the message he was trying to deliver. Save your money. There are other authors who have more to offer without resorting to the use of offending language. Nothing new here. Read by the author (which I always prefer) but the quality of audio editing (background noises, pages turning, odd sounds) deteriorates the longer you go into the book. It's "bad" there are just so many better options for marketing insights. struggled to finish this book. full of filler text. did not enjoy this book at all. This author should have limited his pitch to 3 seconds or less...boring not very useful!! Waste of my time!! 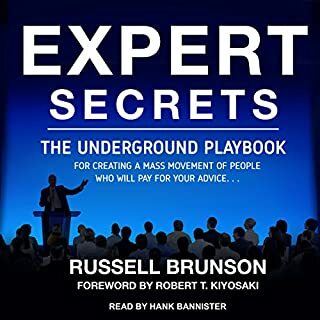 What an amazing audio book. Like everything else in life it's important to apply what I have learned from listening to the audio book. I loved it! it was more than I expected, just what I was looking for! 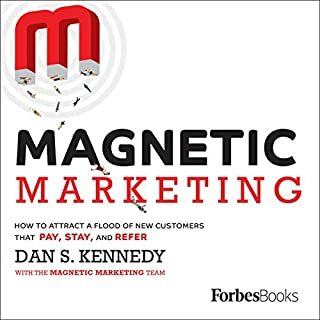 I would recommend this book because it succinctly explains the most important component in keeping your customers happy and making a sale every time...MAKE THEM AN IRRESISTIBLE OFFER. A must read/listen!!! This book is all sizzle, no steak. Avoid. Made a lot of sense. Can't wait t to listen too again. Got a lot out of it. Well worth the money.